Hotels should give customers “no excuse” to leave their payment pages by removing any offers or barriers to confirmation if they want to drive direct bookings. 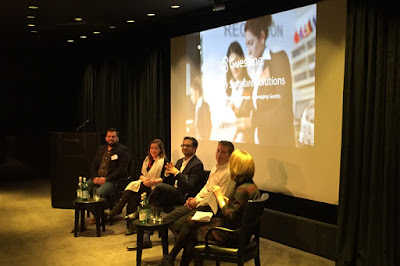 A panel of online hospitality marketing experts hosted by tech provider Guestline debated how hotels can increase direct bookings at the Bulgari Hotel in London on Thursday. Satyan Joshi, business leader at Google’s Hotel Ads encouraged hotel managers to book their own properties as if they were a customer and said upselling should come after booking is confirmed to prevent it putting customers off. Simon Bullingham, chief executive of hotel digital marketing agency Journey, agreed that pre-stay emails should come after booking confirmation, and insisted they should be relevant and add value. “Take away all the nonsense,” he said. “Make sure the experience is as close as possible as it will be in the hotel. Bullingham said his company’s research showed that direct bookings cost hotels between 7-8% of the customer’s price in marketing but said selling indirectly, such as through online travel agents, is more likely to cost between 15-20%. He added that between 60-70% of those who view a hotel’s website leave to book elsewhere or via an OTA. To combat that, he said hotels need to target people who make “emotional purchases” on impulse by offering a simple booking process and “great imagery”. “The longer they leave it, the more calculated their booking will become – and calculated bookings are driven by price,” he added. Bullingham said there are a number of third party technologies, such as “exit tools” and price comparisons that can be deployed by hotels to combat people leaving by guaranteeing them the best price direct. Sofia Tappa, general manager at Revinate, said good reviews help hotels stand out. “Guests are four times more likely to book a certain hotel with a higher ranking if the price is equal,” she said. “And they are 75% more likely to pay a higher rate for hotels with a higher ranking. She also suggested hoteliers segment the booking journey and use AI to personalise parts of the process in which they know they can add value. He said hotels should emulate airlines’ post-booking marketing by giving useful information such as ‘how to get here’ maps as well as adding a “by the way we sell…” to the message. He encouraged hotels to move people away from OTAs’ own pre-stay emails by making theirs better. “If you do that you can convert those OTA bookings to direct,” said Metcalfe. The panel all warned against over-personalisation to the point of it becoming “creepy” and agreed new data protection laws (GDPR) will help reduce that sort of marketing. Tappa also added caution over focussing on too many direct bookings, insisting a balance between direct and indirect was important. It's really a big challenge for restaurant owners to get direct bookings. People are finding it easy to book online through other apps rather than choosing hotel's website. I hope for the best news ahead. I came up with similar content you can find on this Latest APP of GoMAX TV at any time. All live channels are available here. Go have fun...Find your entertainment. It will be useful for college students to visit this website. Here you can read how to write an abstract for a dissertation.